Oh my goodness! 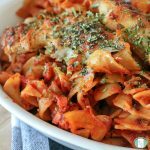 This yummy, cheesy chicken pasta bake just screams “comfort food”! It’s hearty and delicious. It’s bound to be a big hit with the kids too. 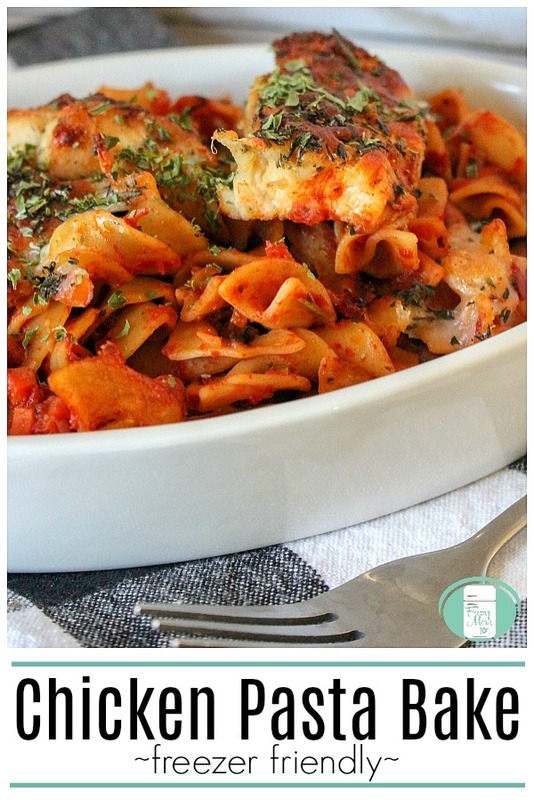 I especially like to have a few pasta bakes stocked in the freezer during the winter. They are perfect for a cold day. 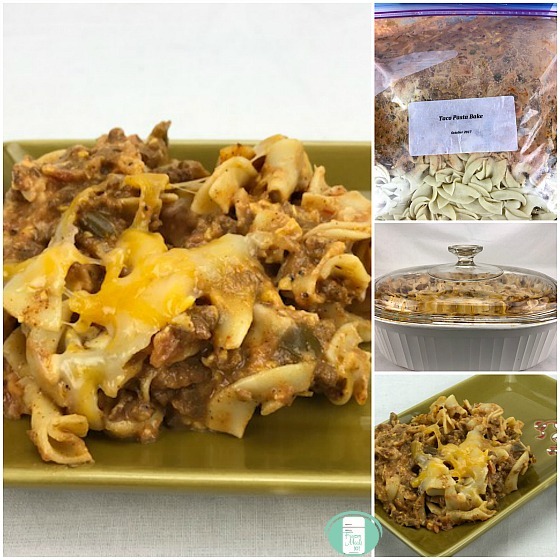 I stock a few lasagnas, a couple of Tex Mex Pasta Bakes, a macaroni and cheese or two, and some of these irresistible chicken pasta bakes. *Note that if you absolutely cannot find fresh rosemary or thyme, you can use dried, but it really does enhance the flavour of this dish to use the fresh herbs. Preheat the oven to 375° (if serving that day). Set a large pot of water on to boil. Heat a skillet to medium-high heat on the stovetop. Add the cooking oil. Sprinkle seasoning salt on the chicken strips and add to the skillet. Add the egg noodles to the boiling water and cook according to the package directions or until just al dente. Drain the pasta in a large strainer. Once the chicken is cooked through, remove from the heat and set aside. Add the cooked noodles to a large casserole or baking dish. Pour in the pasta sauce and give it a good stir. Lay the chicken strips on top of the pasta so that it covers it. Sprinkle the rosemary and thyme over top of the whole thing. Cover everything with the grated cheese. Prepare as above, but do not bake. (follow steps #1 through #11) Ensure that you are using a freezer safe baking dish. Cover with 2 layers of tin foil. Freeze. Remove from freezer and thaw. Bake at 375° for 35 minutes. Remove the foil and bake another 5 minutes to melt the cheese. If desired, garnish with parsley. This casserole has all of your basics covered, so you really don’t have to cook anything else. 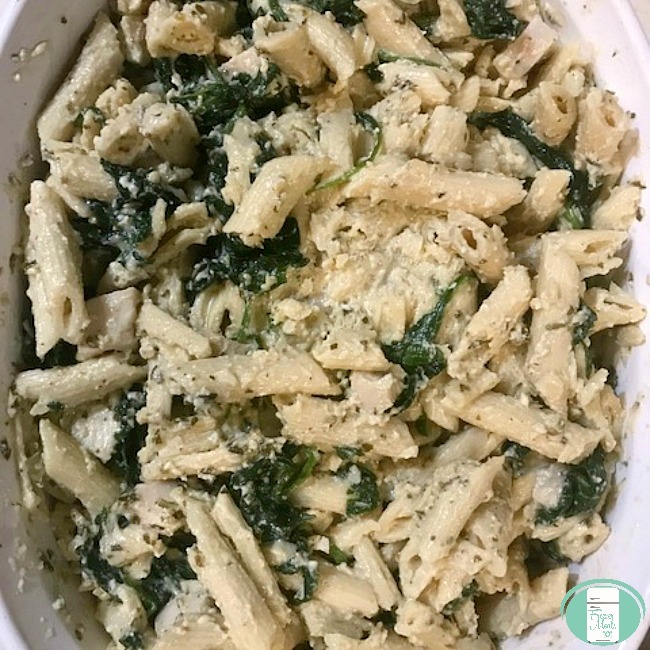 If you want to add something to the side, a nice green salad and a loaf of make ahead garlic bread go nicely with this pasta. 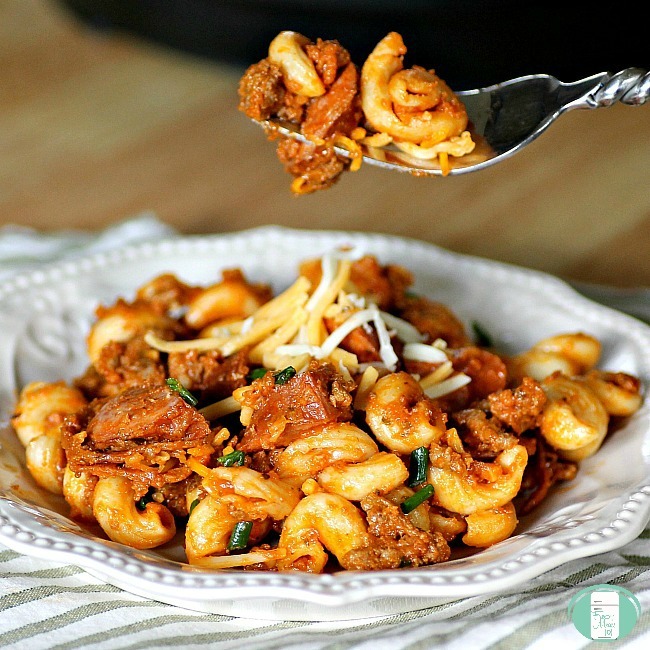 Find other easy make ahead meals in our Family Friendly Freezer Meal Plan. It includes recipes, shopping lists, and printable labels to take the stress out of suppertime. Add the egg noodles to the boiling water and cook according to the package directions or until just al dente. Drain.